The Legacy Dinner has been postponed due to inclement weather. We will let you know as soon as we can determine a replacement date. 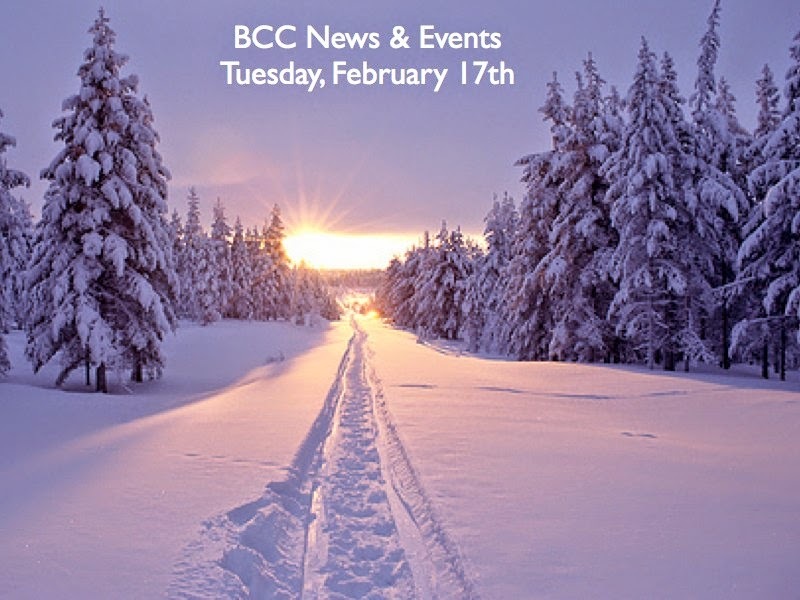 There will not be any activities at Brevard Community Church tomorrow night. Mark your calendars for Friday Bible Study beginning February 27th from 9:30 to 11:30 AM. Walk along the shores of Thessalonica with Beth Moore in her study "Children of the Day, I and II Thessalonians." A sign up table will be at the back of the Worship Center on Sunday. Study books are $17.00. For questions email Carissa Sellers at cjsellers@wildblue.net. March 1st starts the new session for preschool leaders. You and your child may see some new faces in his or her classroom and preschool area. All classes have both returning and and new teachers. Please begin to prepare your child for these new faces. For families that may be interested in applying for a habitat house, a workshop will be held Tuesday, February 24th at 7:00 PM in the Restore Conference Room on 690 Ecusta Road in Brevard. This is for only those families interested in living in the Rosman area. Please call Habitat For Humanity at 884-3464 to reserve a seat or to ask questions. Black Mountain Home has been caring for abandoned, neglected, and orphaned children in Western North Carolina for more than a century. Today, BMH has grown from a residential children's home to include a foster care program and has developed a unique opportunity to be the primary provider for foster care in Transylvania County. The need for foster families continues to grow and BMH is seeking to find, train, and license Christian families in the Transylvania area to help fulfill their mission: Glorifying God by serving children and families. For those that would like more information BMH will be at Midweek Worship next Wednesday in the back of the Worship Center.